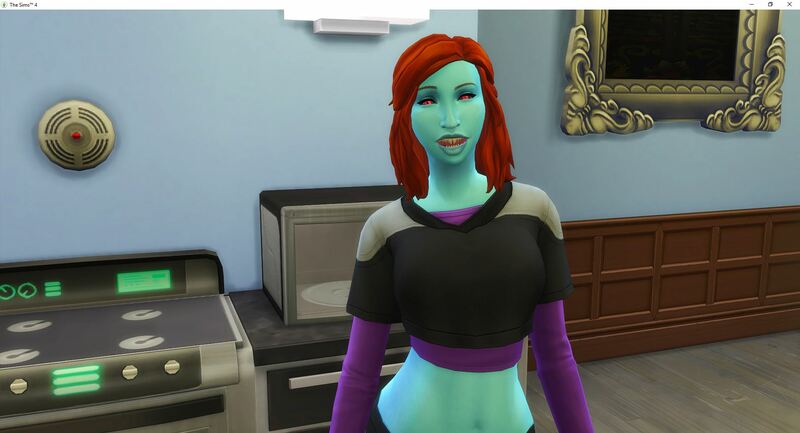 Vanity is desperate for something to drink so she heads down to one of the nightclubs. Thankfully she spared Venom, but only because he was asleep and refused to wake up until the action dropped from her queue. 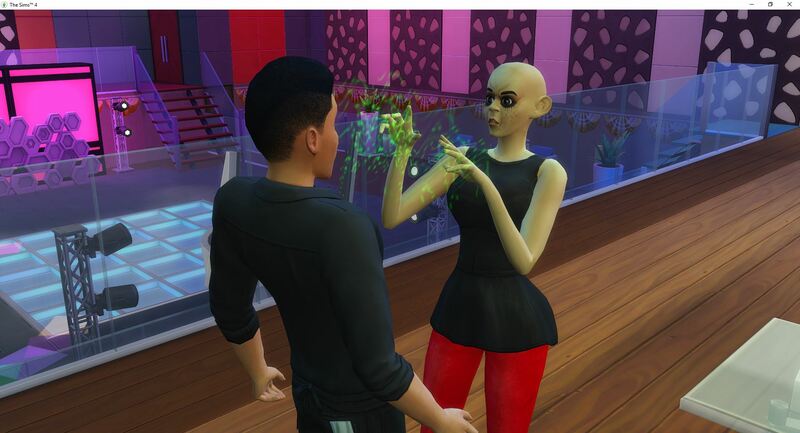 While Vanity was getting her drink on, Malice was meeting new sims. 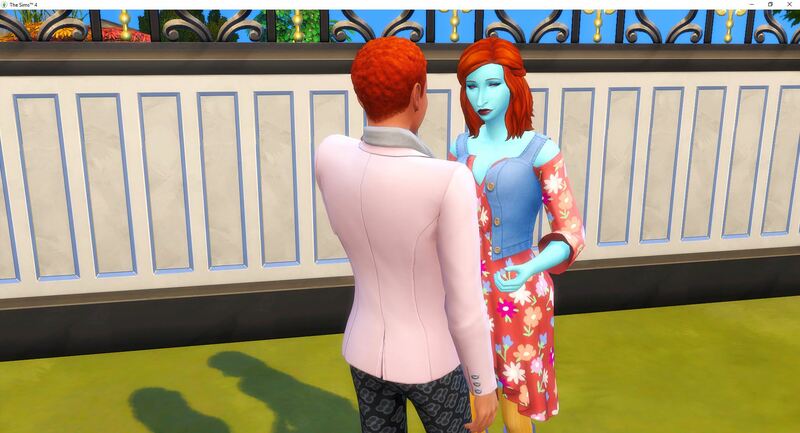 She also managed to get a drink in the wild for a change, but mostly she just met other vampires. Coming back to the house, the one member of the family that doesn’t need to work out is working out. And he is enthusiastic about it. 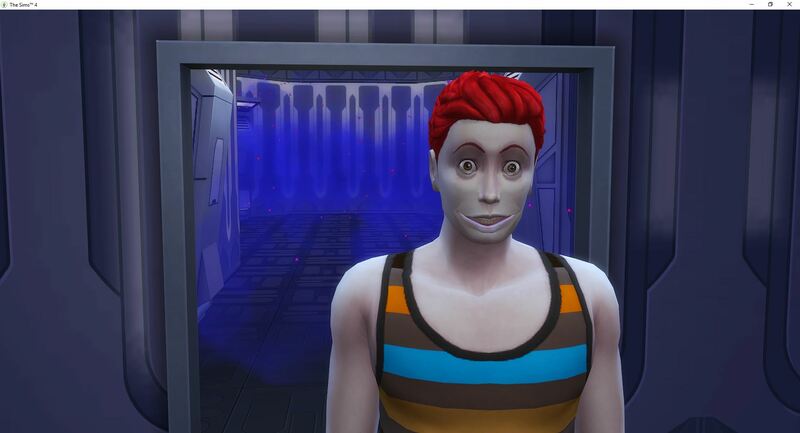 Desire is back to trolling the forums – still level 3 mischief because it isn’t going quickly. 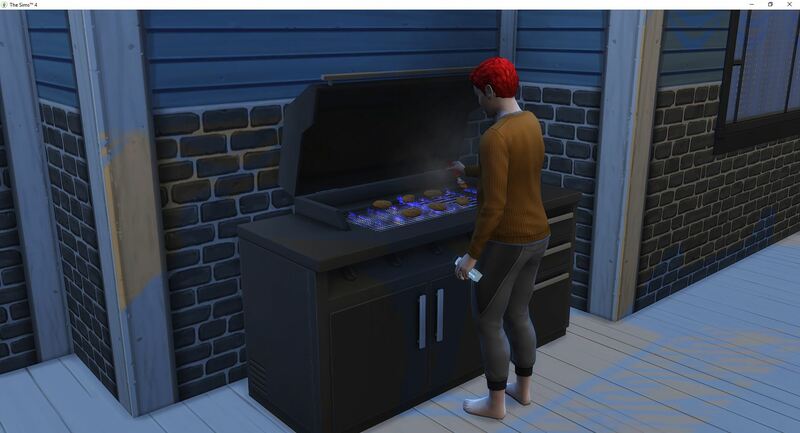 And who is surprised to find Venom cooking more food? 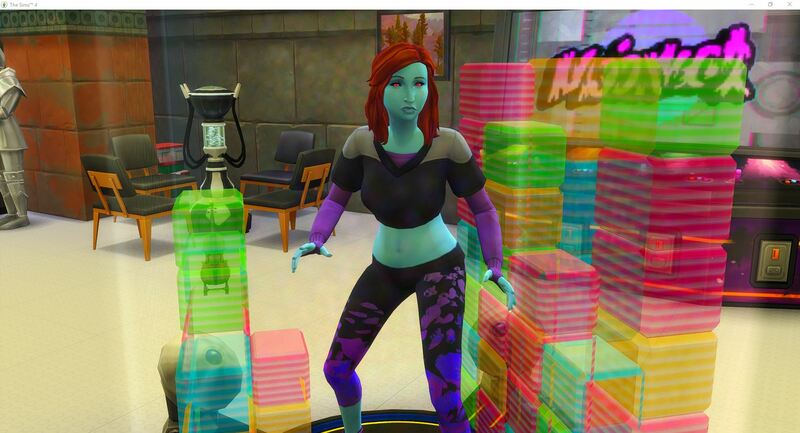 Raven roams the mansion, finding herself in a room with music, which apparently she doesn’t like. She is as bad as Venom when it comes to eating anything in the house. 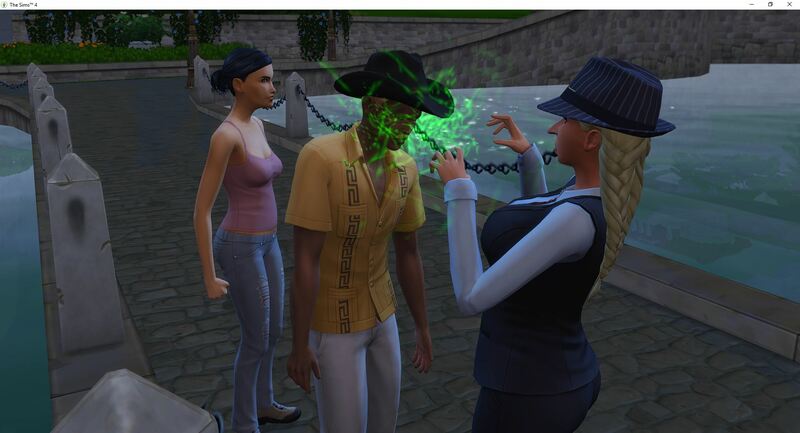 Venom needs to monitor other sims for his career task, so he chooses Avarice as his first target to place a hidden listening device on. 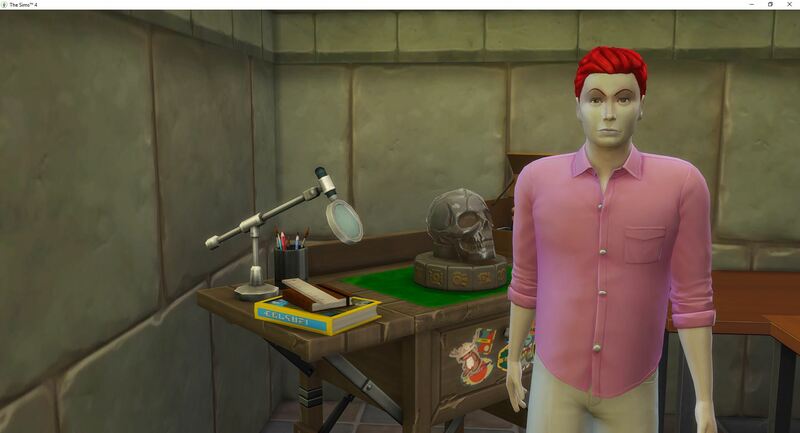 Then he goes down to the new secret room in the dungeon to listen to see if she says anything important. He can probably blackmail her with what he just heard. After listening in on Avarice, Venom plants a bug on Malice. He gets more interesting blackmail information. But truthfully, maybe recording the two criminals in a house of monsters is not the wisest course of action. 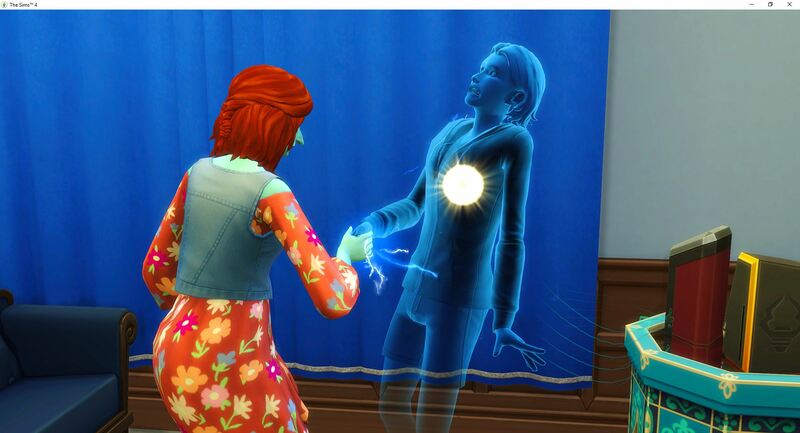 Desire decides to try again to wish for romance. Green means a “can’t fail pick up line”. Lame. She invites Adan over and they do get along. 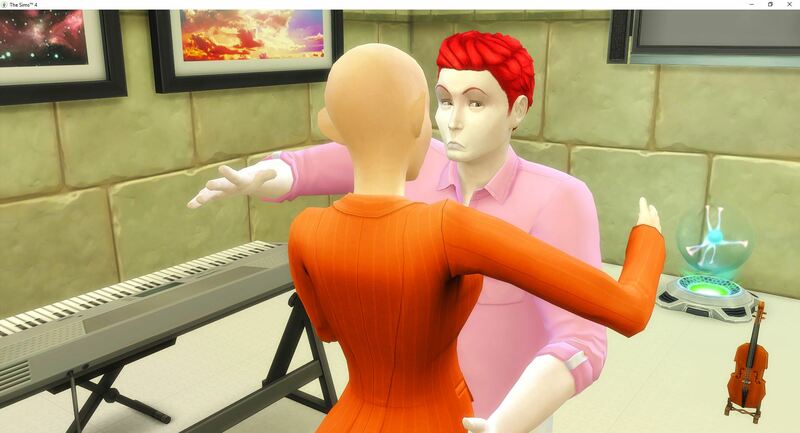 But she tries the pick up line on him when she is surrounded by family. Bad timing. 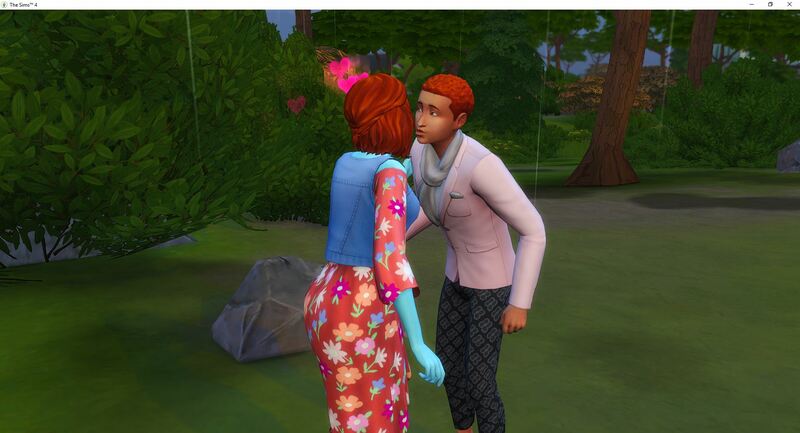 They manage to get to their first kiss and Adan agrees to be her boyfriend. So that is something. 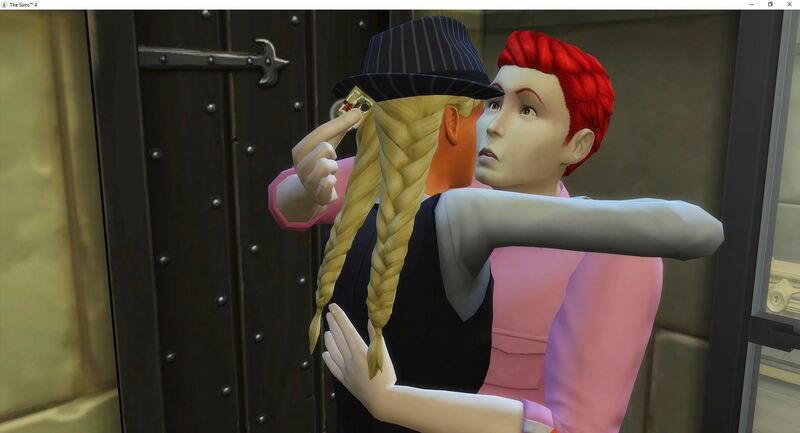 Although as Adan heads into the house, Desire is already having second thoughts. Is this really the best that she can do? 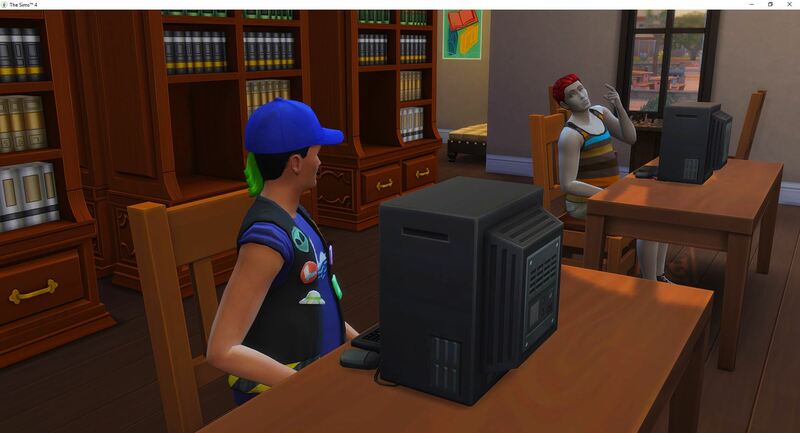 Killing time before school, Desire is still working on mischief by trolling the forums while Larceny enjoys another cup of coffee. Desire is supposed to be at school today, but no matter how many times I clicked on the button to send her to school, she would not go. 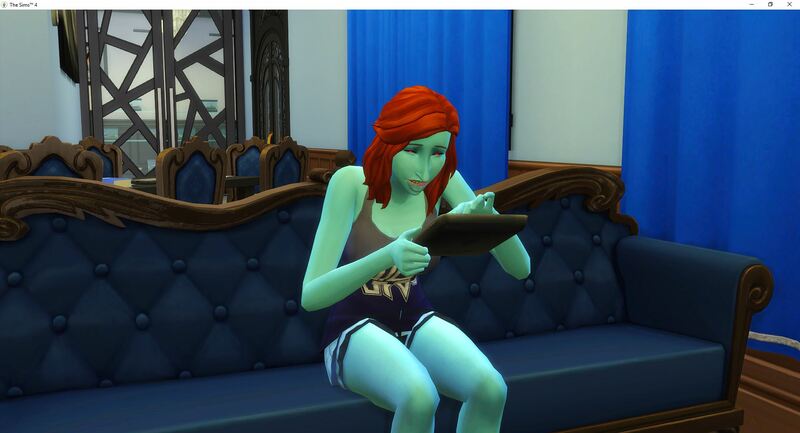 So, she worked on mischief with Augustus. 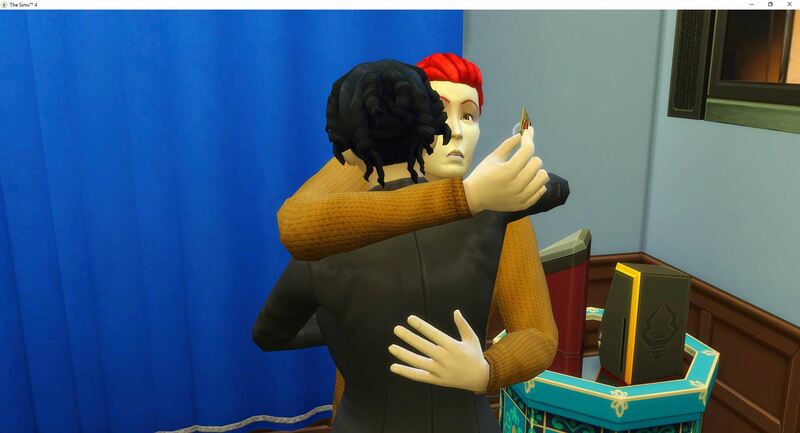 He was a willing recipient and their relationship increased along with her skill. Once she reached level 6 in mischief, she is able to stop practicing as that is all she will need for her career. Now she only needs to max out logic and she will have all of the skills she needs. 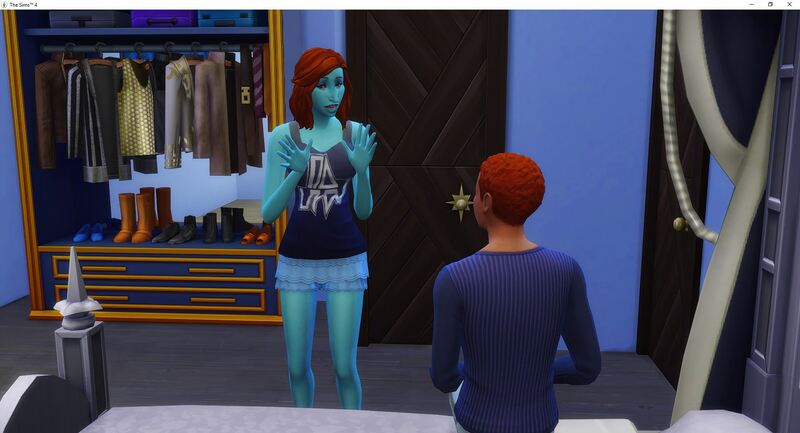 She decides to see if she can get Augustus to show her another color, and she does, and he does. 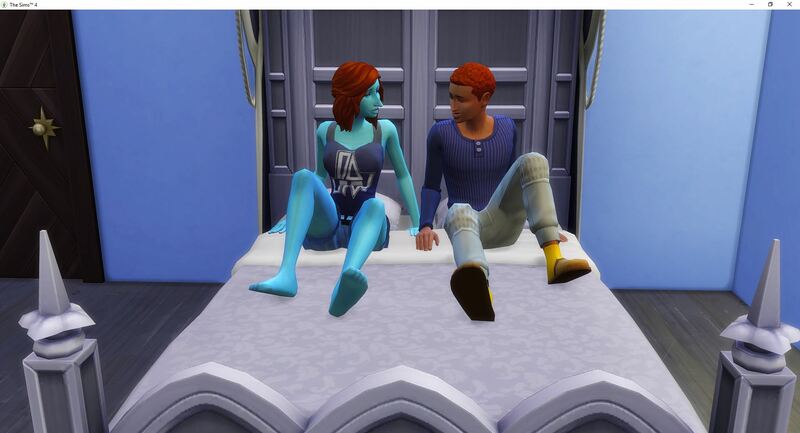 She even gets him to agree to be her boyfriend. 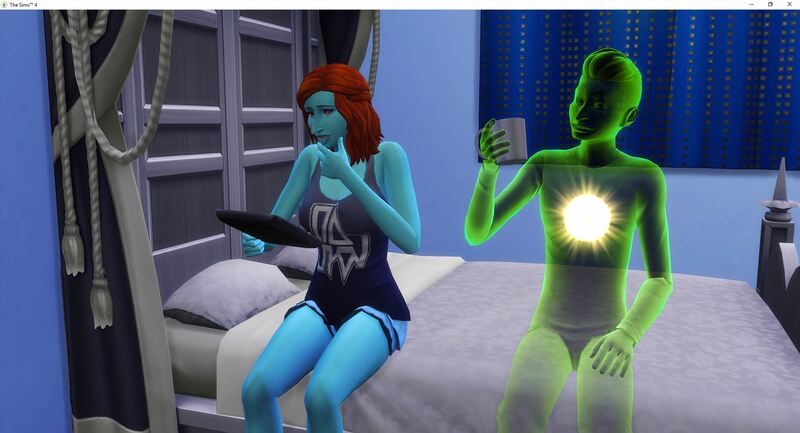 Too bad ghost babies aren’t a thing but oh well, at least she can have fun with Augustus without having to worry about consequences. 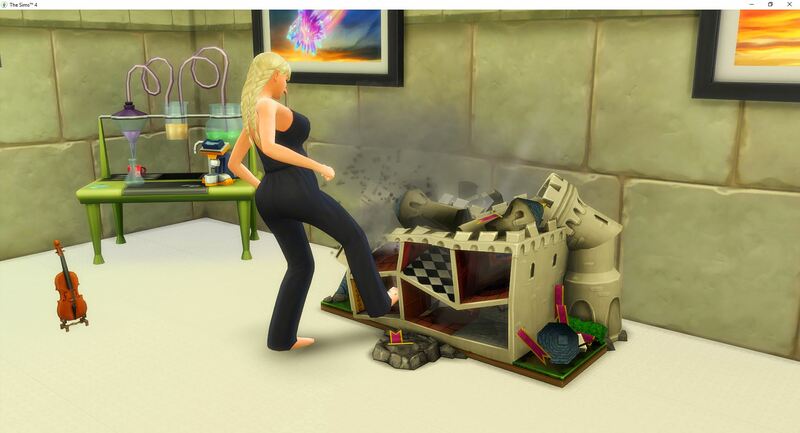 What would an update be without someone destroying one of the dollhouses. 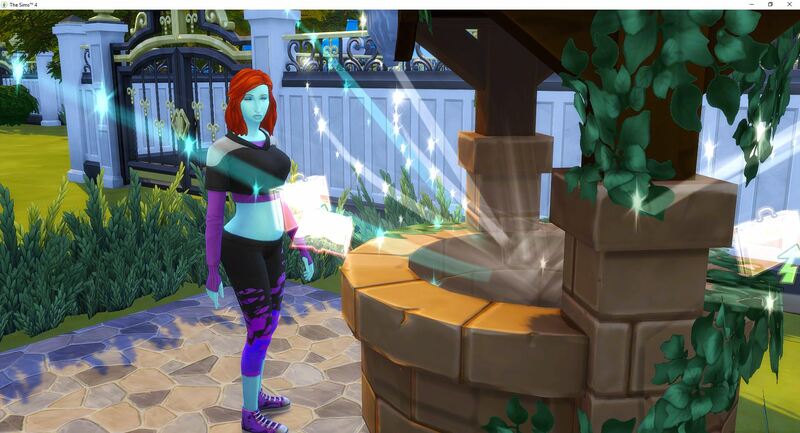 Vanity comes home from work and she is out weeding the emotion trees without even changing her clothes. 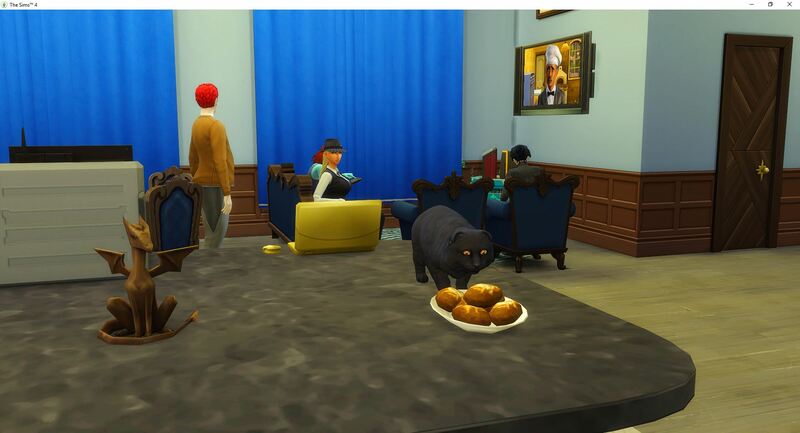 Venom is the first to see if the berries will be strong enough to manage the sadness that is prevalent in this household. The answer is no. Venom decides to try something different and instead of going to work, he is going to try to work from home. He is level 7 Conspiracy Squelcher. 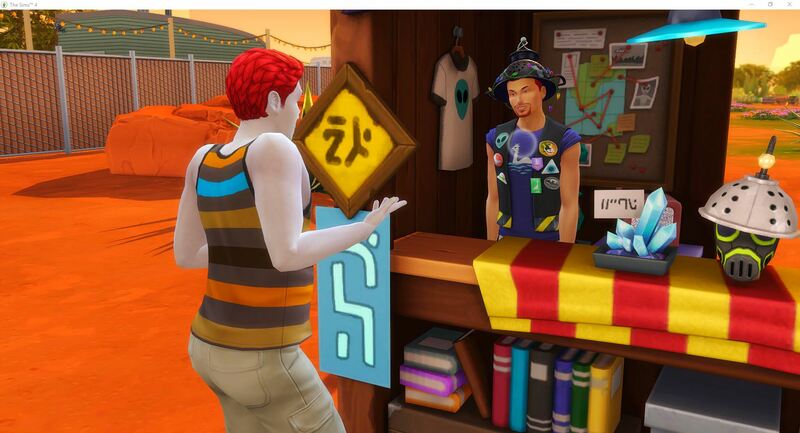 His work from home assignment is to research StrangerVille, so guess who is leaving the lot after all. 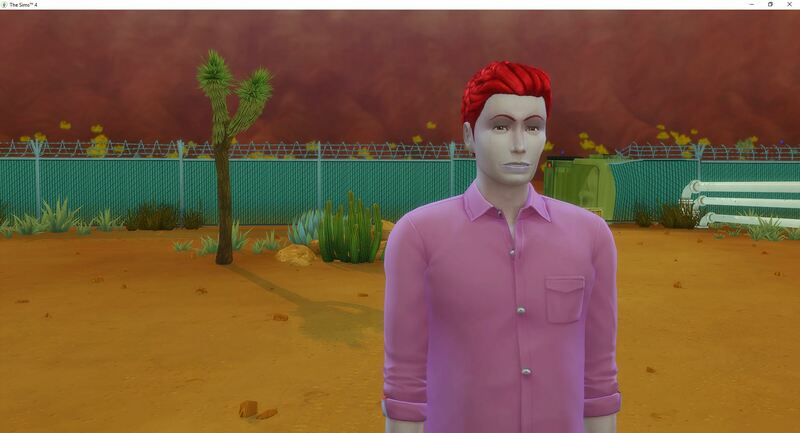 It is still five days until Desire’s birthday, so off to StrangerVille he goes. 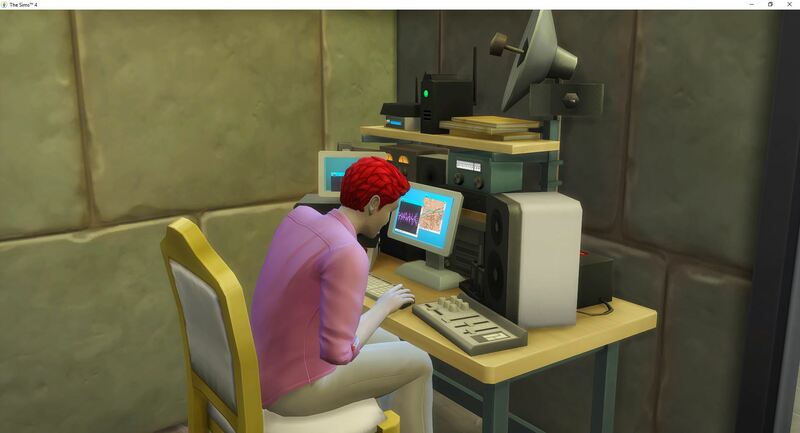 He will also be working on the aspiration while he is at it. 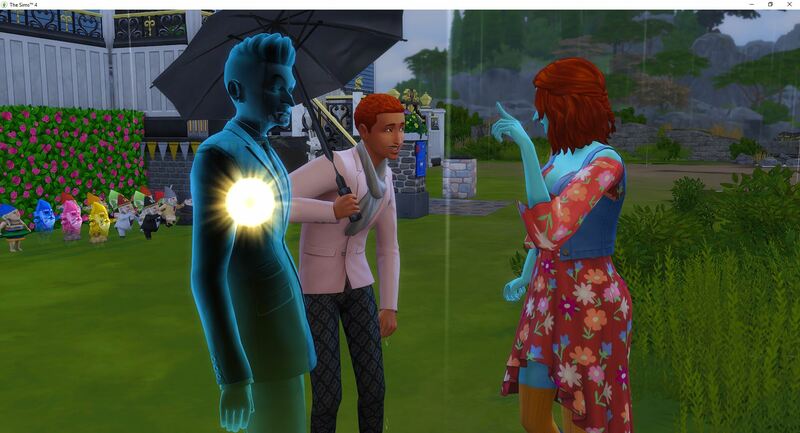 [spoiler warning: there may be spoilers relating to the StrangerVille mystery in this chapter, but I will attempt to keep them at a minimum]. 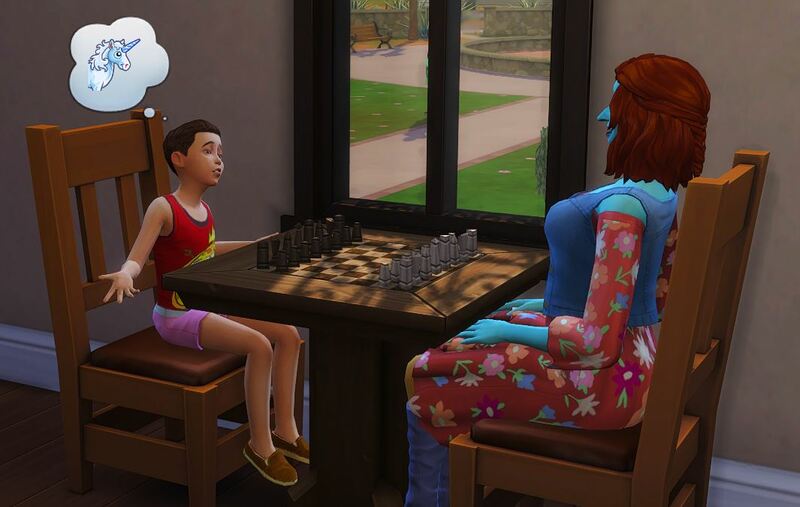 While Venom is working on the mystery, Desire comes along so that she can keep working on her chess game, and the logic skill. 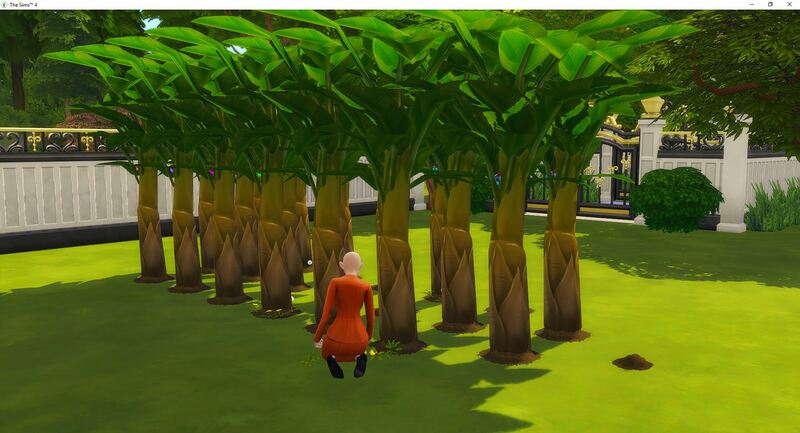 She is up to level 8, but she seems to be cheating against kids to get there. 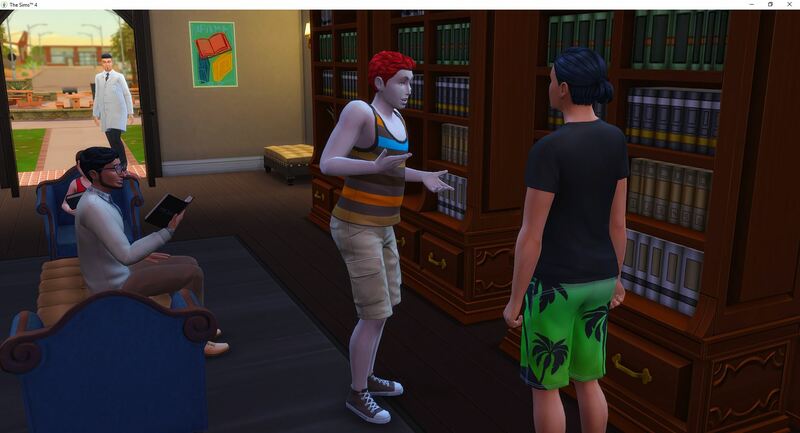 Venom talks to some of the locals and does some research in the library but feels he needs to do more. Really? 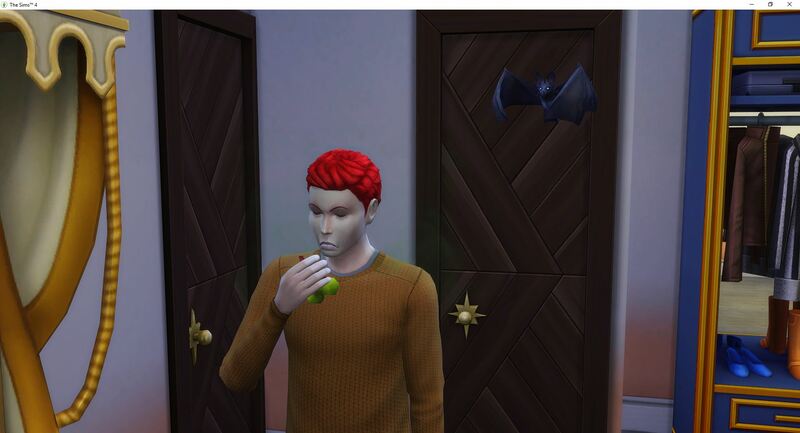 A vampire that is a picky eater? Go figure. Venom stops at the local curio stand and buys a lamp for his office. 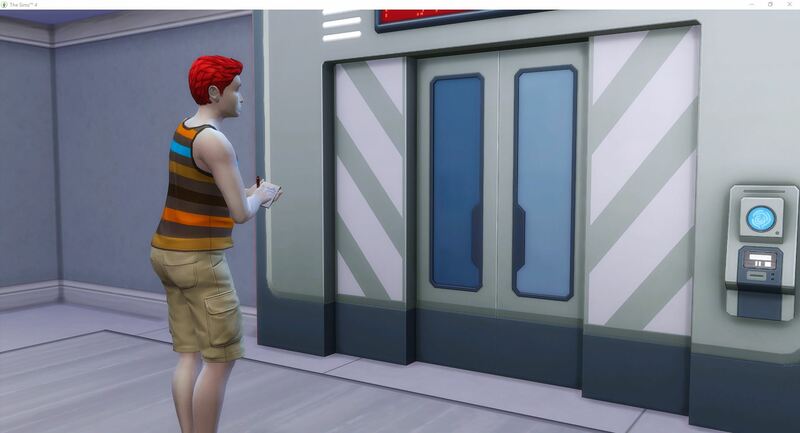 Then he goes to the abandoned base and pokes around until he finds a locked door. 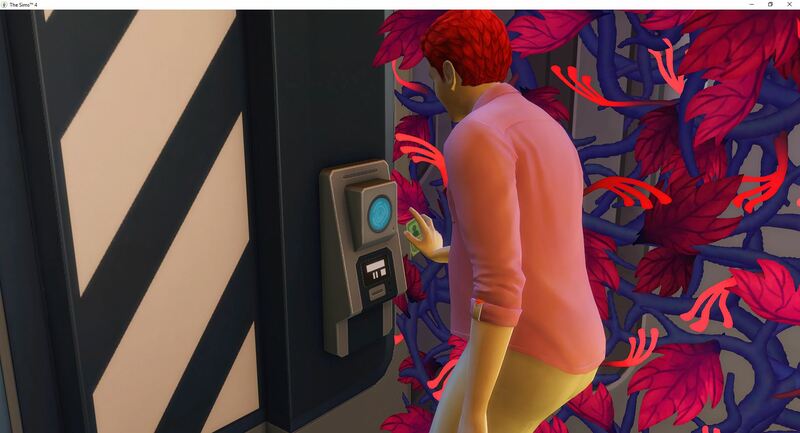 He feels he must find a way to get through the door. More research is required. When not working on his top secret mystery, Venom is slowly trying to work through all of the artifacts he collected during his trip into the jungle. And there are still a lot to be cleaned up and authenticated. 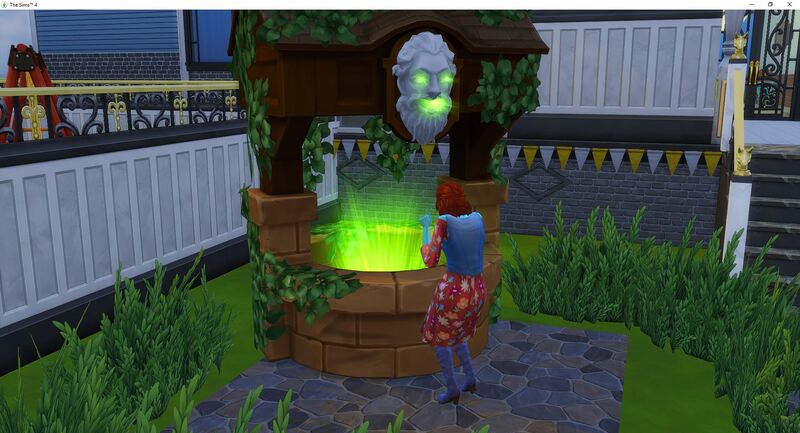 He tries one more time at the wishing well after I read that it is possible the well is granting the wishes and traveling will update the performance bar. It didn’t work. 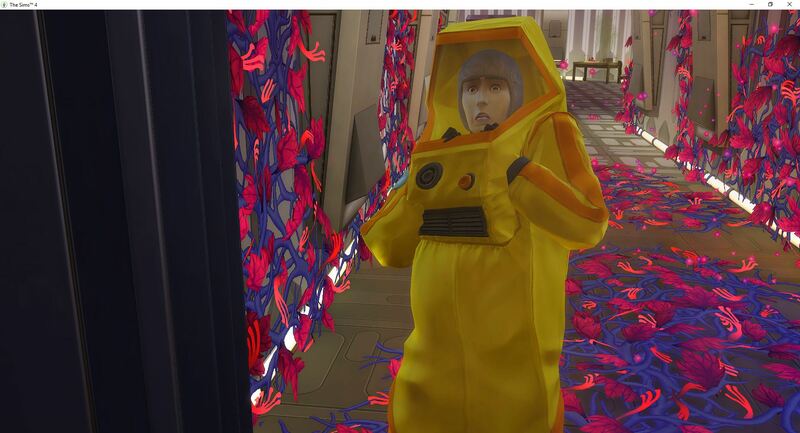 Venom heads back to StrangerVille with his new assignment. 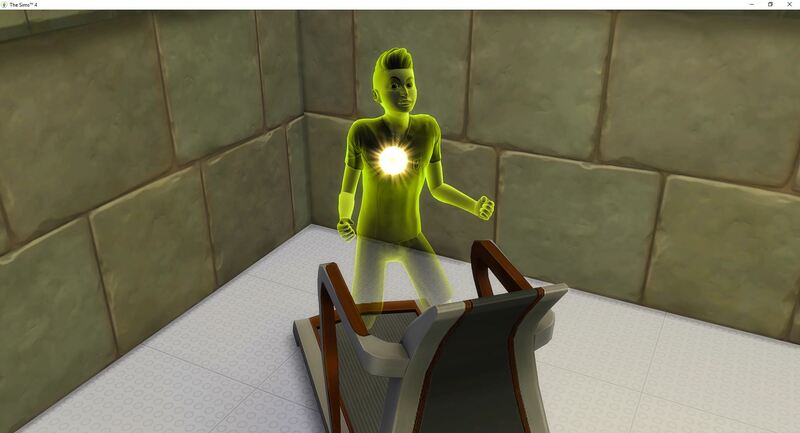 He needs to plant another bug and listen in on someone. His family did not give him the right information, so it needs to be someone connected to the mystery. He also meets up with some conspiracy theorists and shares some conspiracy theories. 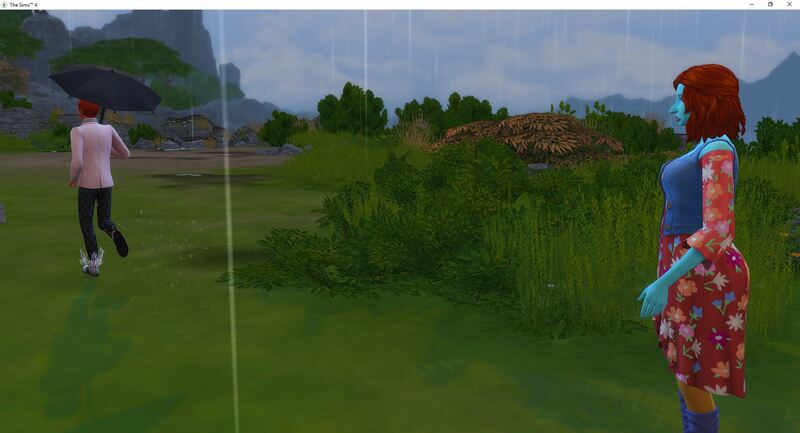 And he meets a scientist and plants another bug. He is finding a lot of evidence and is almost ready to do something with it. 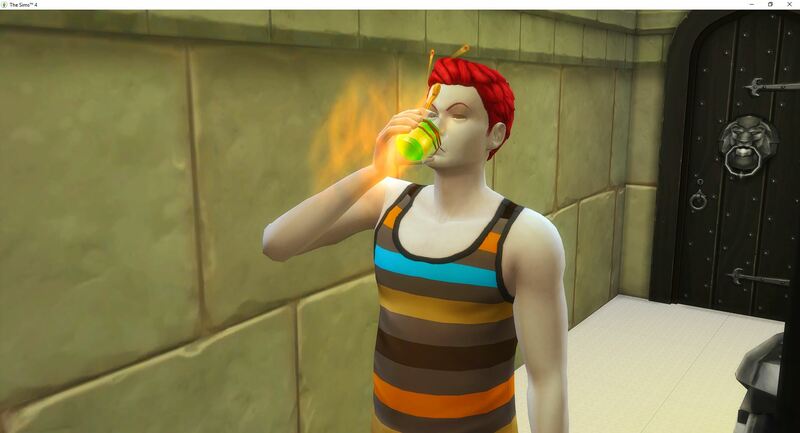 He doesn’t go back to work until Friday night so he chugs a potion and heads back to StrangerVille. 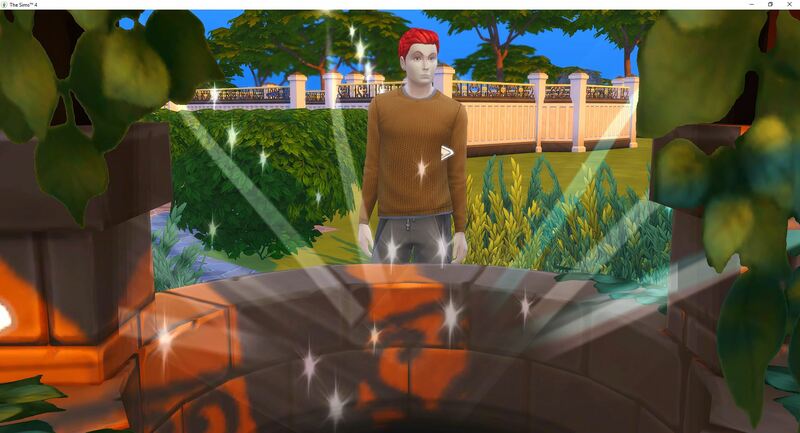 Desire’s birthday isn’t until Sunday, so he would like to get this mystery solved before then it possible (probably not, but can’t blame a sim for trying). Desire has reached level 9 in logic so she is staying home this time. 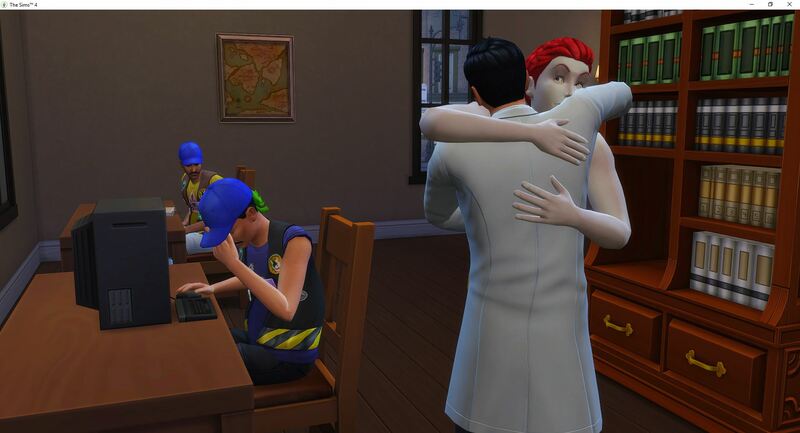 Back in StrangerVille, Venom talks to several military personnel and finally gets access to the secret, sealed lab. 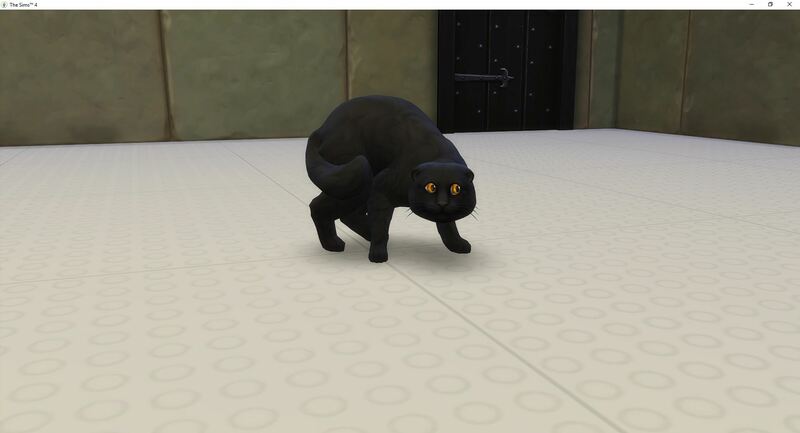 Venom has been doing a great job and is promoted to Clandestine Investigator, level 8. 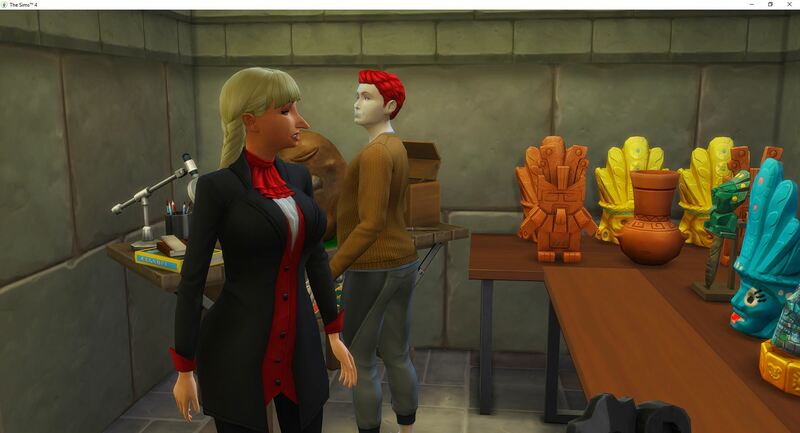 Hero of StrangerVille – StrangerVille Mystery aspiration is complete! With the mystery complete, Venom returns to the normal daily tasks of listening to his family without their knowledge, and collecting information in case he wants to blackmail them later. When he isn’t working on career tasks, he is still slowing clearing out the backlog of artifacts that need to be authenticated. Desire enjoys a last little bit of play before it is time to blow out her candles. 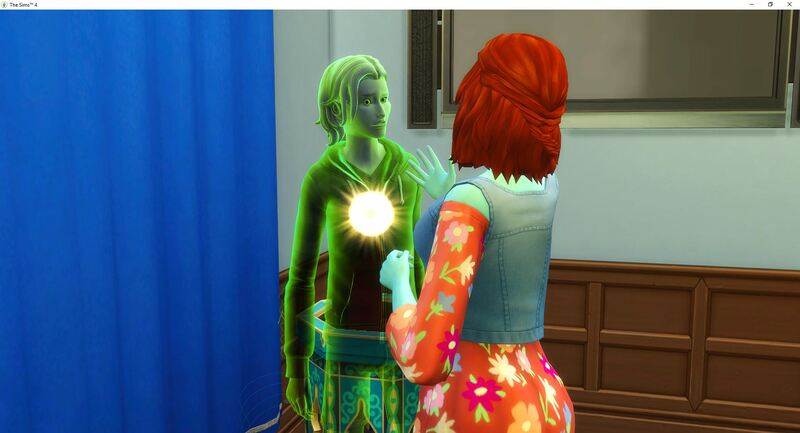 It is a good thing that it is not necessary that she complete her aspiration of Serial Romantic, since she just rolled Unflirty for her third trait. She also has Genius and Evil. She does pick up Responsible (-5) which will zero out the +5 for Unflirty. Her aspiration will remain unchanged and she will take the last required career of Secret Agent. That is how close we are to finishing this challenge. 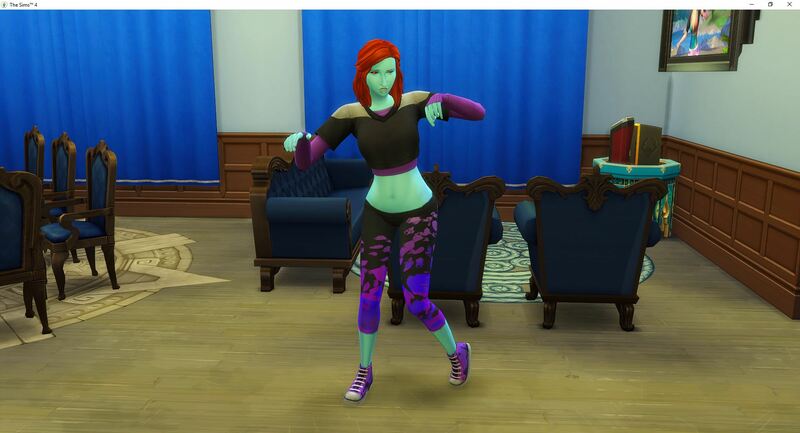 She needs just a few more aspiration points in order to purchase Connections so she wished for a dance workout and something else I can’t remember. 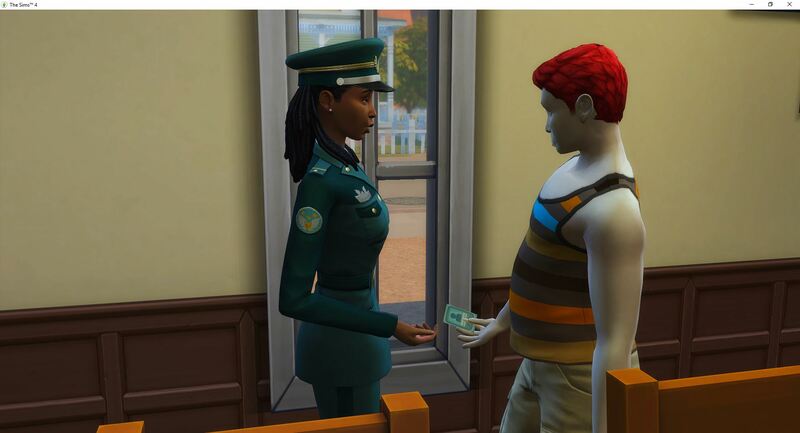 They were both easy and once she had the points, she bought Connections, then took a job as a Field Agent, level 4. 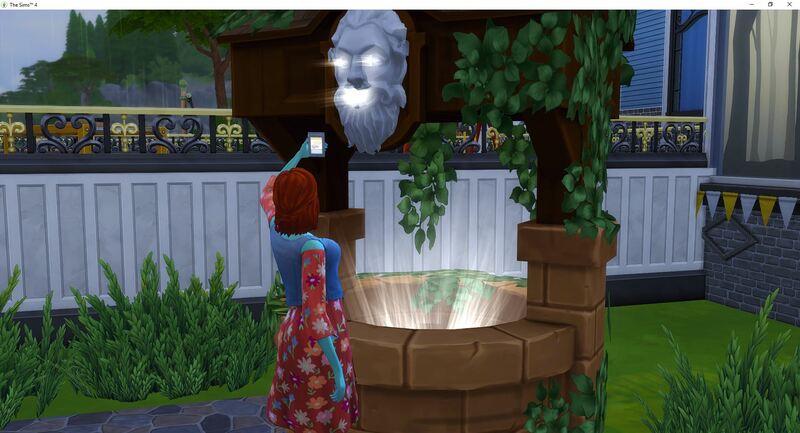 Then, she tested the wishing well. 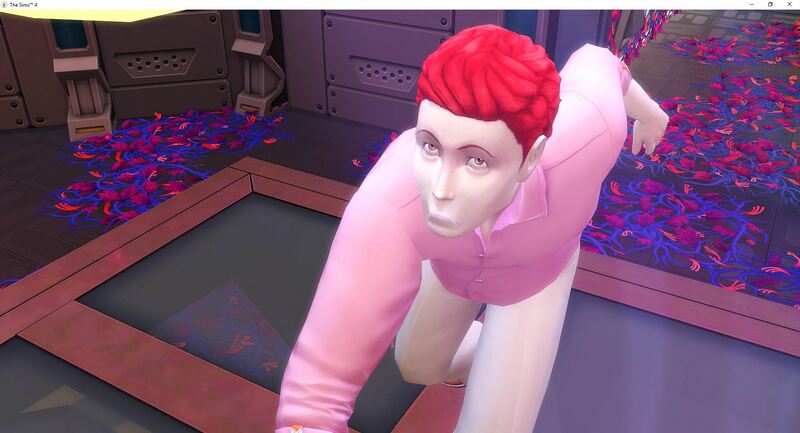 It works for Secret Agent, so she was promised a promotion on her next work shift and received the performance increase to go with the promise. Since Venom is level 8 in his career, they are feeling pretty confident in the belief that they will be able to complete the careers soon. 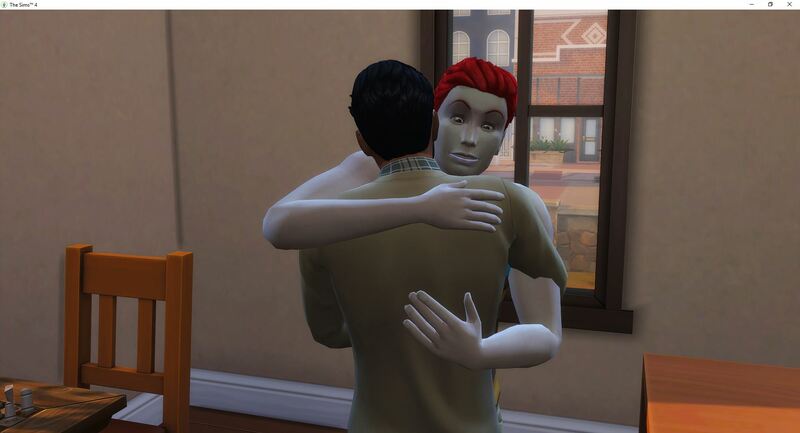 So, Desire invites Adan over to begin working on the next generation. 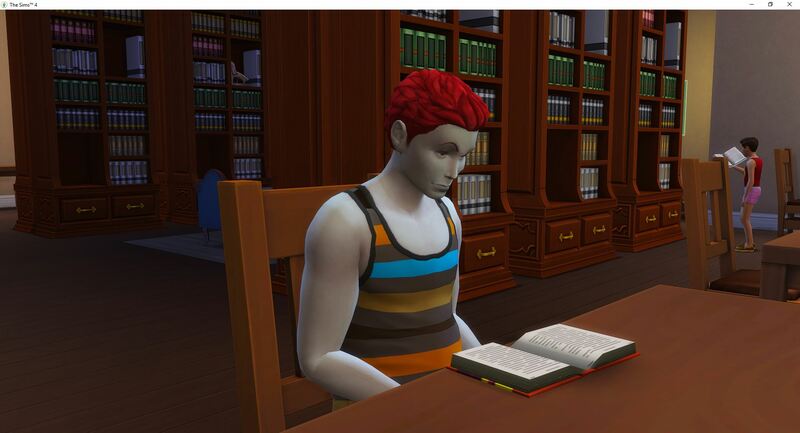 Well, the last generation. They move into the bedroom and skip all of the foreplay, getting right to the action. 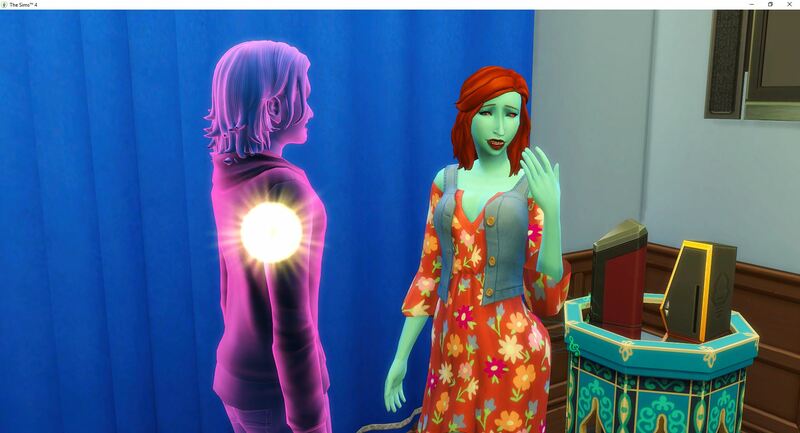 Young and fertile – that only took once and generation five is on the way.